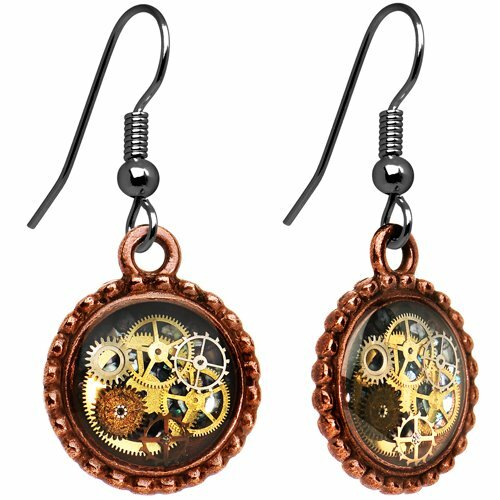 Last time I did a Steampunk gift list, we had a great response so I thought I’d show you even more gorgeous Steampunk jewelry today. The earlier list focused on Steampunk Rings but today we have a wider selection for you and if you want even more ideas then check out our Steampunk Valentine’s Day post for non-jewelry Steampunk gift ideas. I think the thing I like most about Steampunk jewelry is that it’s hard to tell whether a piece is expensive or not! 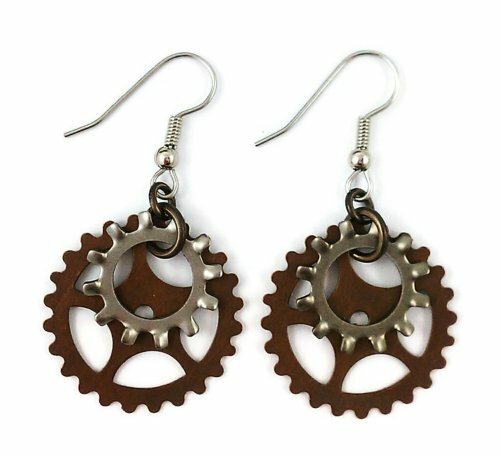 These 3 pairs of Steampunk earrings all feature gears and wheels in a variety of metal finishes. I love the two tone dangly pair as my hair is getting longer now and the shorter dangly earrings or studs just don’t show up! 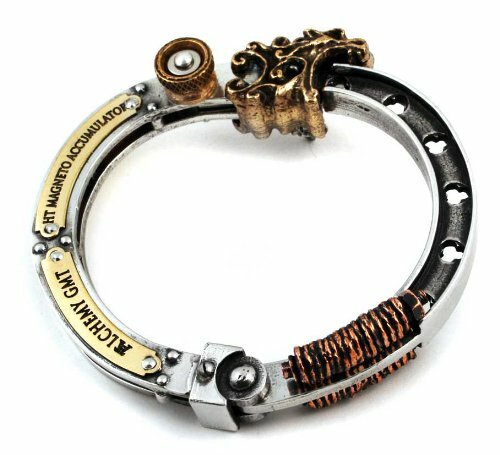 Next up, we have a variety of Steampunk jewelry items – I love the fine detail on the Steampunk cuff bracelet such as the brass plates and the lion’s head clasp. It’s a large piece, designed for men but I’m pretty sure many Steampunk ladies could wear it with style too! Also for men, the watch movement cufflinks are amazing to me – the watch movement has always fascinated me! 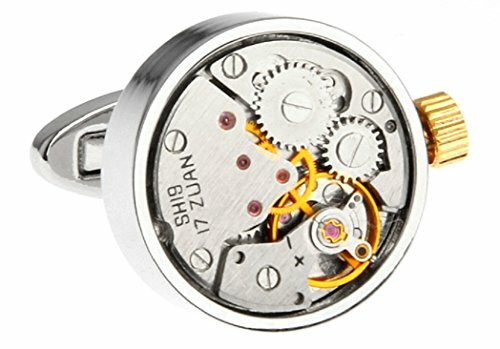 There are quite a few other Steampunk watch movement cufflink designs available too, some in different shapes and others with tiny gems added. 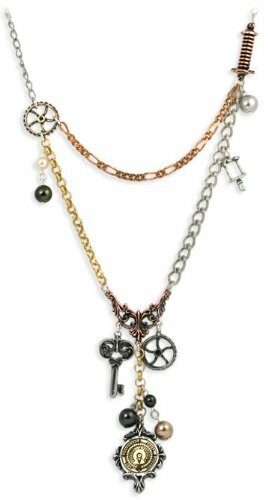 Steampunk necklaces and pendants are my favorite jewelry items – they are so varied but always gorgeous and full of pretty details. The Steampunk Watch Movement choker matches the dangly earrings shown above and would make a nice set for any Steampunk lady. 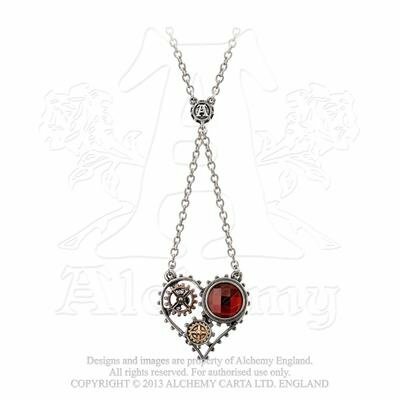 The Coeur de Morteur pendant has tiny brass gears and a red Swarovski crystal set into an English pewter heart and looks gorgeous! 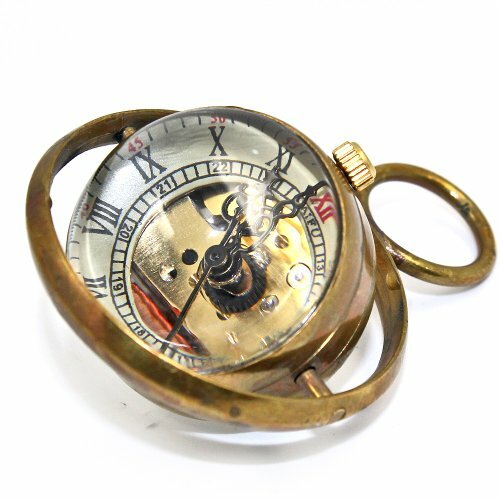 I remember buying a pocket watch for a boyfriend many, many years ago but it wasn’t anything like these stunning Steampunk pocket watches! 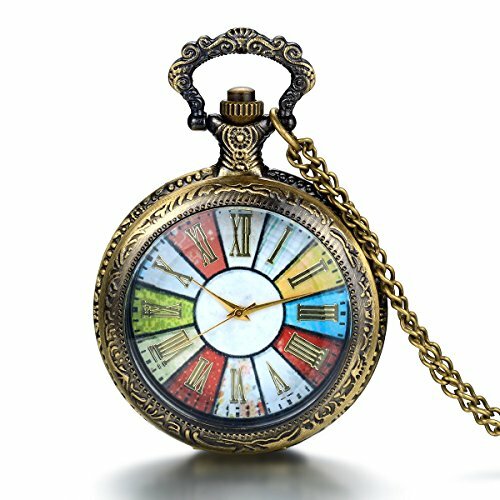 All three can be worn as a pocket watch or as a pendant although from the comments, the retro printed dial brass watch is heavy for a pendant! 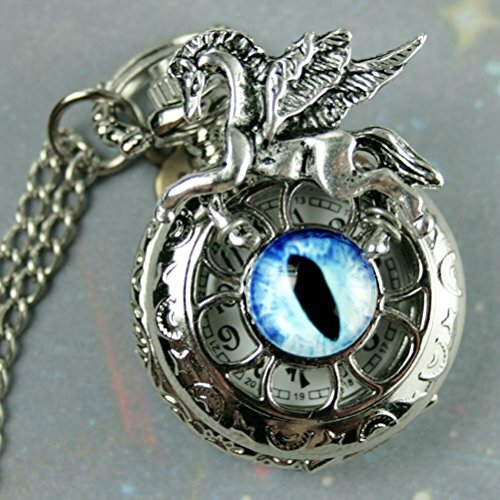 My favorite is the dragon eye pocket watch with the flying pegasus on the case but then I love dragons so that’s no surprise! 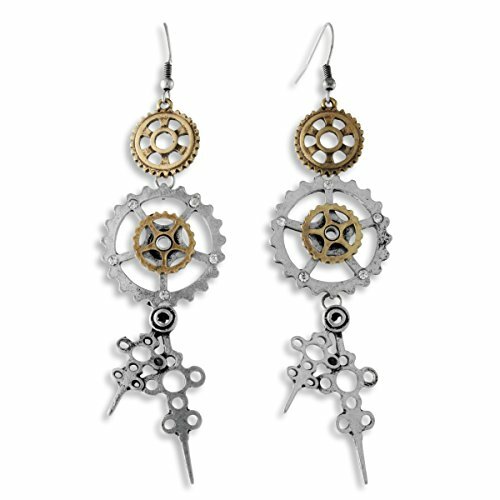 I hope you’ve enjoyed today’s Steampunk jewelry selection. 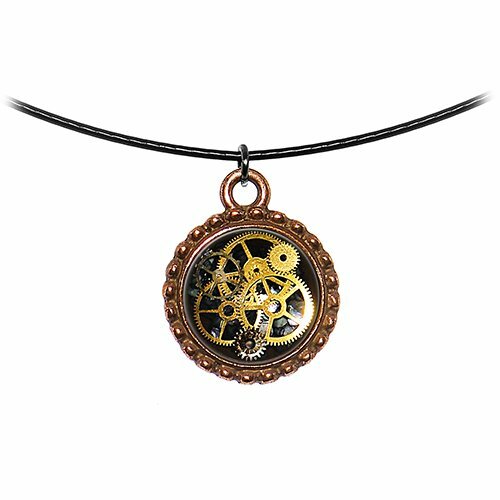 The sheer variety of Steampunk jewelry that is available means I’m definitely going to be doing more Steampunk posts so if Steampunk is your thing, don’t forget to pop back now and then!